The Villas at Mallards was home to the 2010 Parade of Homes and it's where Zellar Homes made their parade debut! Homesites are still available in this beautiful condominium community where homeowners experience a dramatic property tax savings! These lovely properties resemble single family residences, yet are classified condominium providing the residents a permanent tax benefit. (Properties are assessed at 62% of their value.) Zellar Homes can build for only $299,900. Zellar Homes specializes in one floor living in this relaxed Madison County community surrounded by rolling hills. Poolsbrooke, located in the Town of Sullivan, is only five miles from the village of Fayetteville. 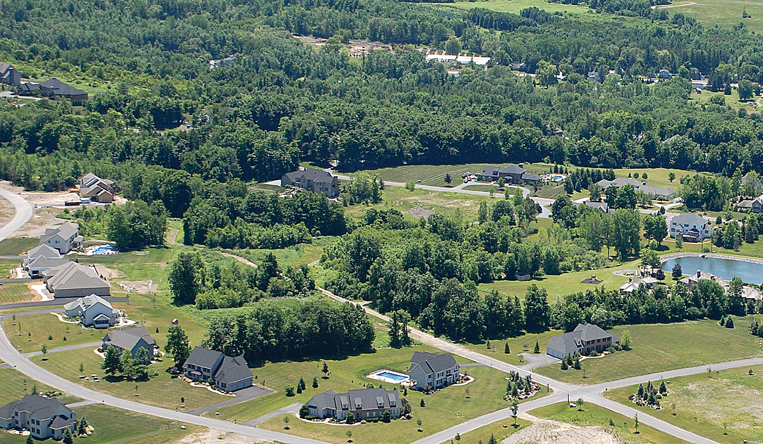 Green Lakes State Park with its beautiful lakes, beach, golf course, and walking trails is along the way! Those wishing to downsize will be relieved to pay no village taxes in Poolsbrooke and you'll appreciate the many areas in this well-tended subdivision dedicated to remaining green. Every Zellar Home offers economy of space without sacrificing style. 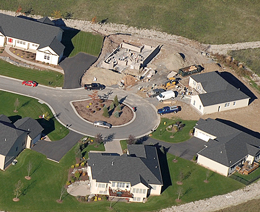 Zellar Homes can build on any available lot in the subdivision. Winterton Estates is a privately situated cul-de-sac of upscale homes bordered by ten "forever wild" acres of steep hillside and trees! Zellar Homes has built an extraordinary 2,100SF detached ranch home with striking features. From the inspired stone facade and front entrance accented by a barrel ceiling to the soaring eleven foot tray ceiling in the foyer and the mud hall with it's proper bench, cubbies and coat hooks, this home is trimmed to perfection. Walls of windows let the western sky pour into the spacious living areas: the gourmet kitchen of cherry, granite and stainless appointments, bay window and sliding glass doors leading out to a stunning 16×16 brick pavered elevated patio and the great room with custom fireplace and mantle.